Posted with the kind permission of the nameless rider. 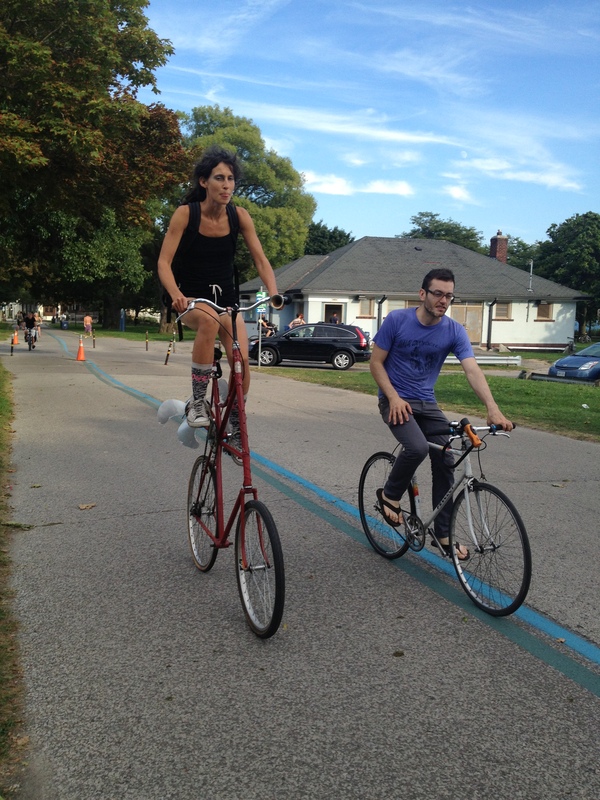 This entry was posted on Thursday, September 6th, 2012 at 12:00 pm	and tagged with tall bike and posted in Uncategorized. You can follow any responses to this entry through the RSS 2.0 feed. « What is a Hövding? I have always wondered about this: why? Why tall bikes? They seem like such a hassle (such few places to get on & off the bike) & a lot unsafer (further to fall) than others. Ideas?